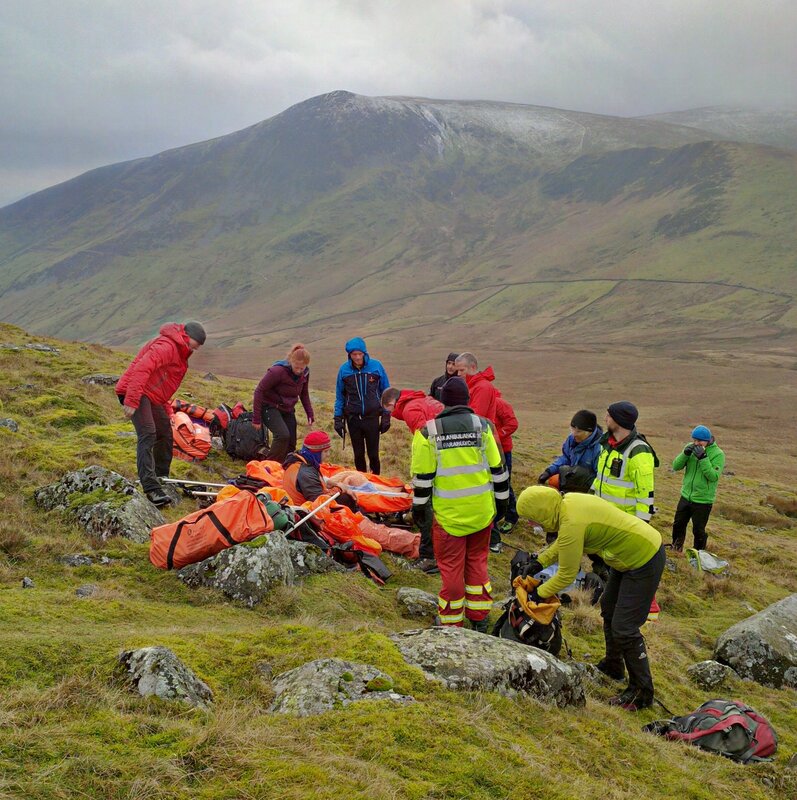 A 49 year old male slipped on wet rocks injuring his upper leg as he was walking off Blencathra towards Skiddaw. 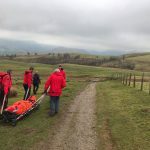 After some initial confusion as to his location, SARLOC was used to give a more accurate grid reference. 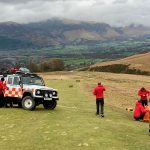 Two vehicles of team members attended and drove up the track from the Blencathra centre towards Skiddaw House to within a short distance of the casualty. 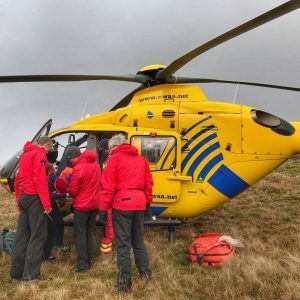 In the meantime North West Air Ambulance had been tasked to the job and were on scene just before our team members arrived. 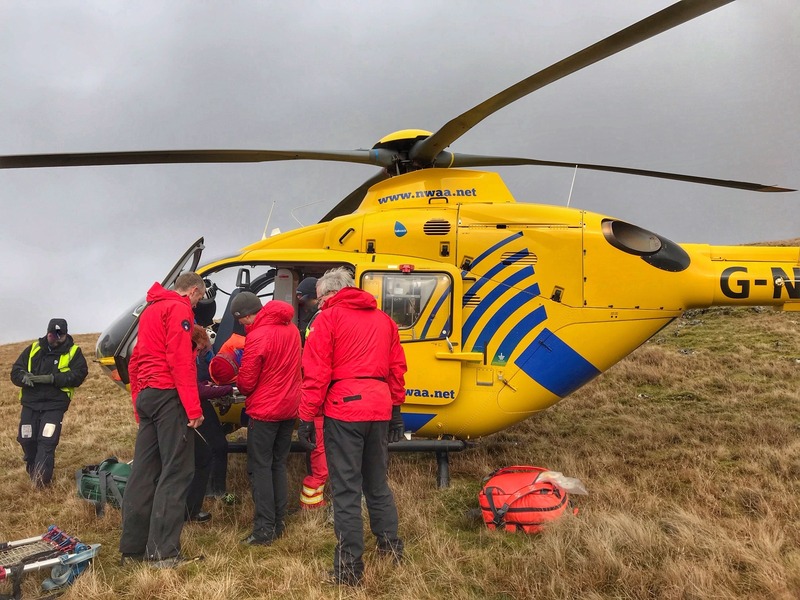 The team assisted with the carry to the helicopter and then returned to base.